You have now done with the task of narrowing down on a Home/ Office/ Shop that suits you in all aspects, which is not a small task in itself. This is however the beginning of the next stage in the process of acquiring your new Home/ Office/ Shop. The first of which is the ‘Agreement of Sale’ or ‘Sale Agreement’ as it is also known as. Whether you are purchasing a site for construction of a home (in which case it is called the Construction Sale Agreement) or an apartment from a builder, the Sale Agreement is a document that you will need to scrutinise minutely before signing. Once signed, you will not be able to counter anything that is on it. The Sale Agreement being a technical document will have a series of terms that you need to understand thoroughly with the help of a Property Lawyer. Say for example, in a transaction where money is exchanged, in part or in whole, for the transferring of ownership of a particular piece of property in whole. The property is referred to as a freehold property when it belongs to someone for a fixed price that is already paid. There is nothing explicitly mentioned in the law about the Sale Agreement being a written one. However, it is now common practice and even a practical thing to do so, especially if the document is to hold water in a Court of Law. 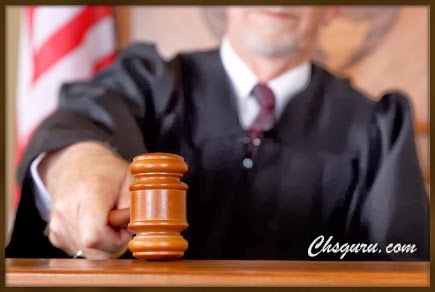 An important thing to do is to get the Agreement drafted carefully from an experienced Lawyer and then get it registered, as a non-registered document does not have any Legal bearing and any deal made on the basis of it is considered void. The Legal Basis: In India, the ‘Property Sale Agreement’ comes under the Indian Contract Act 1872, the Registration Act 1908, and the Transfer of Property Act. This is applicable no matter who the seller is, a friend, family, acquaintance or complete stranger. 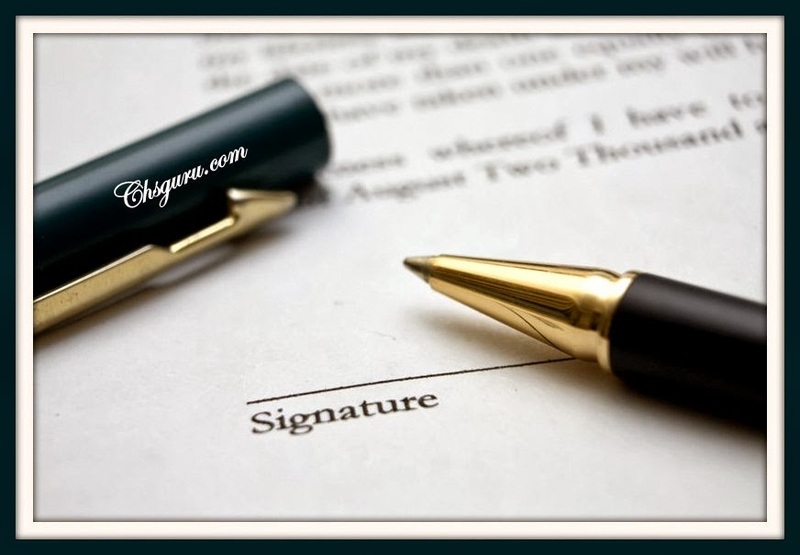 A Written Agreement should be entered into in order to legally establish the authenticity of the property’s ownership. All of the deeds that you receive will have to be verified by an experienced and established Property Lawyer. 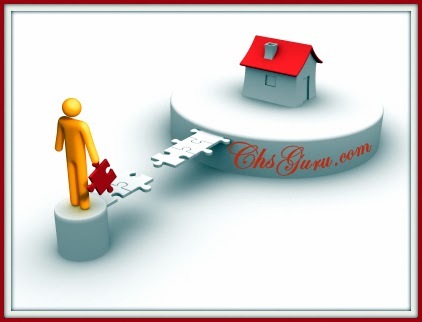 Should you be buying an apartment from a realty company then cross-check with the Registrar of Companies on the property being of freehold nature. The apartment should be completely free of any obligations monetarily and should not be mortgaged. It cannot be reiterated enough on the importance of having the documents looked into by a Property Lawyer. Even before the main Agreement is drafted & signed, ideally a MOU should be executed before paying any token/ earnest money. There are several inclusions or what are called clauses in the Sale Agreement. It will describe the property, include contact details of the seller and the buyer, the negotiated price will be mentioned and also how this payment is being disbursed. The schedule & time frame for the payment will be included. There will also be a provision for the payment of stamp duty and sharing of other expenses for transfer of the property title. Some of the clauses will cover Municipal Taxes that are due by the person selling, as well as maintenance charges and in the case of an apartment being purchased, payment towards the building/ society, etc. The onus is on both the buyer and seller to come to a mutual agreement on the price of the property and all other expenses that go towards the transfer of property. This has to be included and has to be agreed on by both the buyer and seller. The time for the disbursement of the payment should also be included right up to the last installment. The document will need to be scrutinised by lawyers from both sides and then signed by both parties. For a loan to be sanctioned, the property titles are of utmost importance. This should be transferred to the buyer when the seller has got in hand the total amounts agreed on. 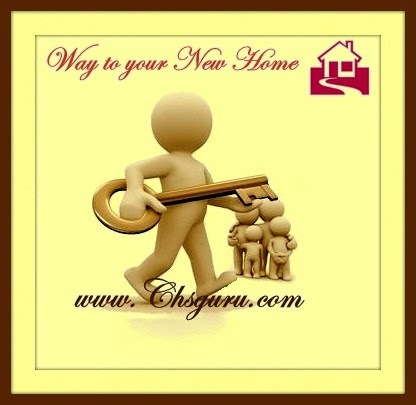 The transfer is the last step in the whole process of buying the property. The property will have to be registered in the buyer’s name by the seller at the local Office of Sub-Registrar of assurance. These rates are fixed by the relevant authorities and can vary with each State. The onus is on the buyer to ensure that the property has been registered in his name at the rate that the government has sanctioned for the transferring of the property. Further the property valuation for Stamp duty purpose is area specific, like the property prices of prime locations are valued at a premium. Again the Stamp duty has to be calculated with utmost care, as wrong valuation can lead into higher Stamp duty and chances are that the buyer could unknowingly loses his money. This follows the Agreement of Sale and is an understanding between the seller and the buyer. Its contents need to be scrutinised by experts multiple times before you actually sign on it. There are different aspects of the Agreement to be looked into minutely. The chain and title of the property has to be defined in the agreement clearly & properly, there is involvement of TDS & other formalities as well. Further using standard form of Template Agreement, which is available on net or copying contents from an old Agreement could be very harmful, generally all Agreements have to be customised to suit individual requirements. Adv. R. P. Rathod says that “you type Blood Pressure & Google will return you 1 billion search results in half second, right from symptoms to all sort of treatments, but if you really have blood pressure whom will you approach & rely upon, Google or a qualified doctor”. Again some property agents, typing centres, etc promise to prepare the deeds at much lower price, but this could be very risking situation. 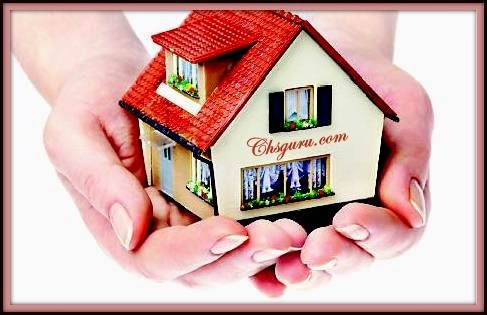 The price of property in cities have been sky rocked in last few years & a decent home here starts from a minimum of 75 Lakhs, but to save few thousand people usually rely on these non-professional persons and risk their life savings & hard earned money. 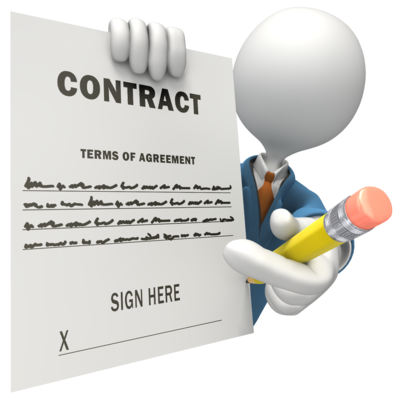 The proper drafting of an Agreement actually benefits the buyer in a long run. In my professional experience, I have observed that people blindly sign papers trusting the wrong guys and risk their money & property. Like in one case I observed that the Agreement for Sale mentioned Sale of a Shop Premises & the parties hurriedly signed & registered the papers, but actually the deal between the seller and the buyer was for a Flat and there was no shop as such. In another case it so happened that the buyer had paid Rs. 15 Lakhs to the seller & the balance amount was to be financed by way of bank Loan, but at the last moment the bank loan was rejected and the deal had to be terminated, the seller returned just Rs. 5 Lakhs to the buyer specifying that a clause in the Agreement empowered him to forfeited Rs. 10 lakhs in case of Cancellation of the Agreement. Adv. R. P. Rathod recalls that in another case it so happened that the seller under trust signed all the deeds, handed over all the original documents, the purchaser later took possession of the premises under pretext of just shifting his household articles, as he had to vacate his old house. Later the buyer started to harass the seller over the balance due payments, which was to a tune of 60% of the decided consideration. The Seller issued Notice to the buyer, which the buyer replied stating that there is no clause in the Agreement which stipulates any time frame for the balance payment, so citing financial problems; he stated that he will be paying the balance consideration as per his sweet convenience. Adv. R. P. Rathod explains that there is no fixed Proforma or template as such for an Agreement of Sale, a professionally customised Agreement may run anywhere between 20-150 pages. Further the job of choosing a Lawyer should never be left on to the Realtors, the purchaser should self choose & engage a Property Lawyer. 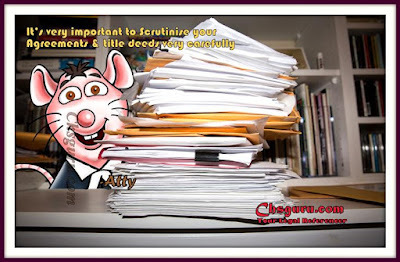 Normally people tend to burden the cost of drafting the deeds on the realtors under pretext that they are paying them huge commission and in turn these realtors get the job done from unprofessional guys, once the deal is closed and realtor get their commission, they immediately get out of picture and wash their hands off for any title defect, drafting errors, leaving the buyer & seller high and dry. In case of a flat/ shop/ premises in a Co-operative Society usually the transfer gets held up and the buyer has to run pillar to post for the transfer for years together. To conclude with all I can say is that it’s high time people realise & limit the role of a realtor and entrust the title drafting & scrutinising work only to an expert Property Lawyer, with the Right kind of Legal help at your support, there is no reason to fear the complexities of the Agreement of Sale, it is something that you can easily surmount.